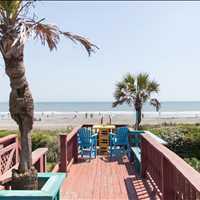 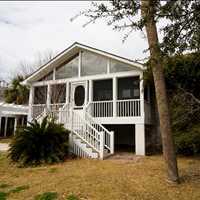 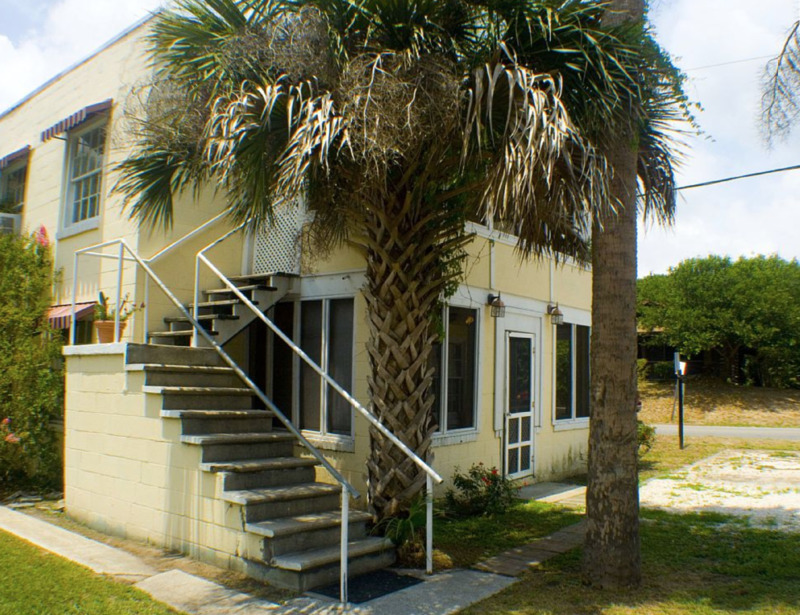 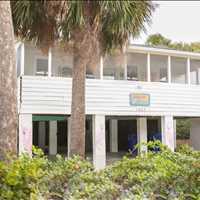 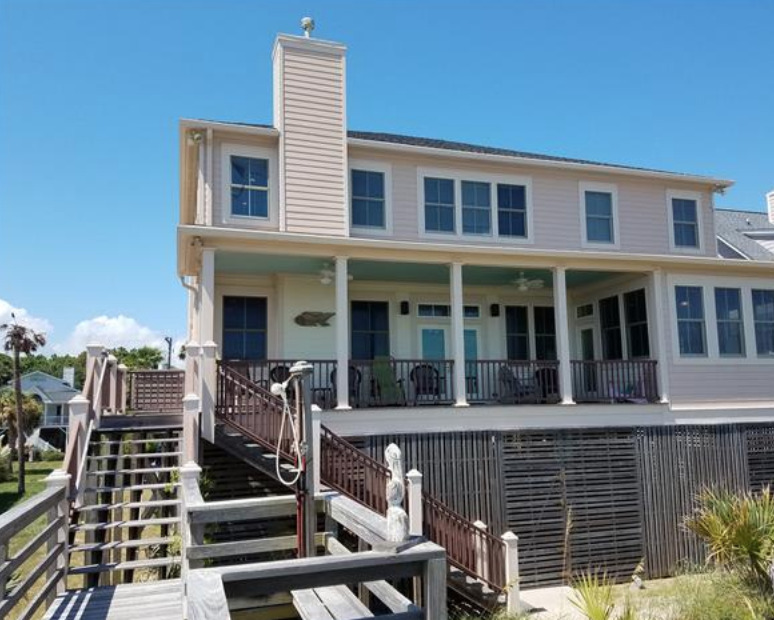 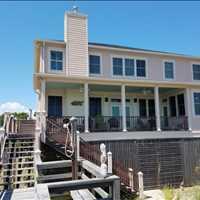 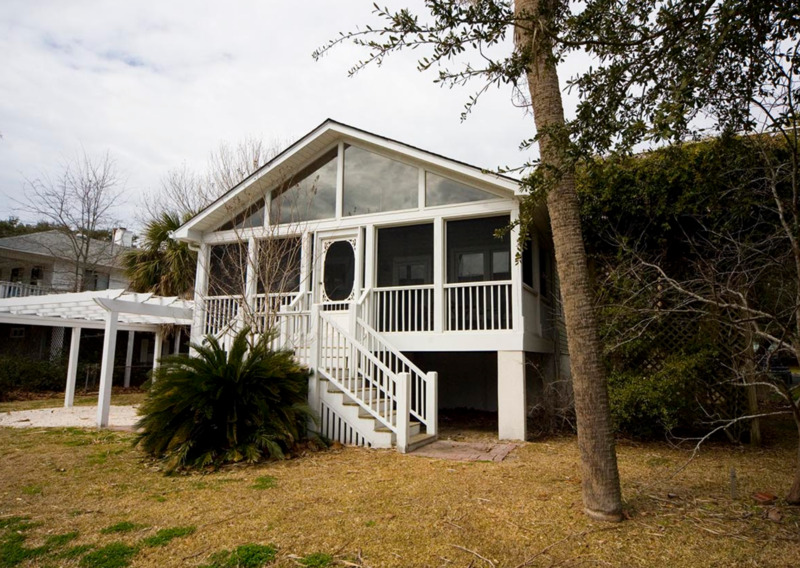 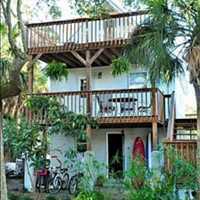 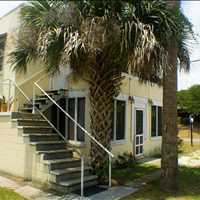 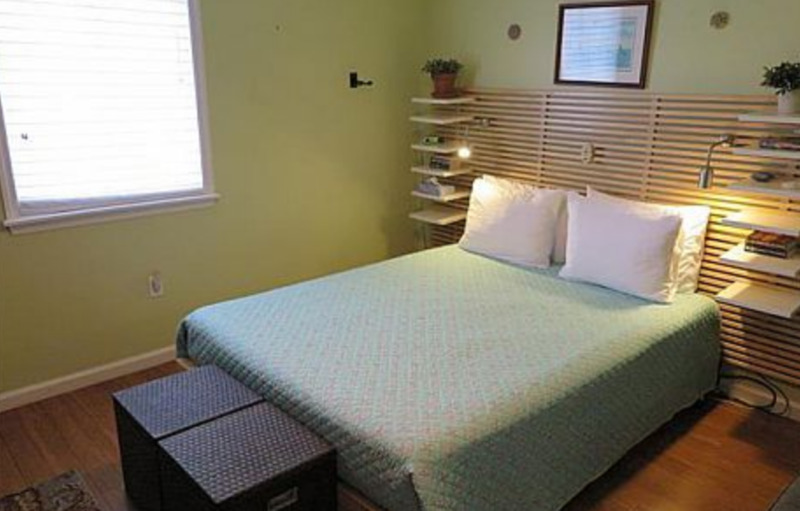 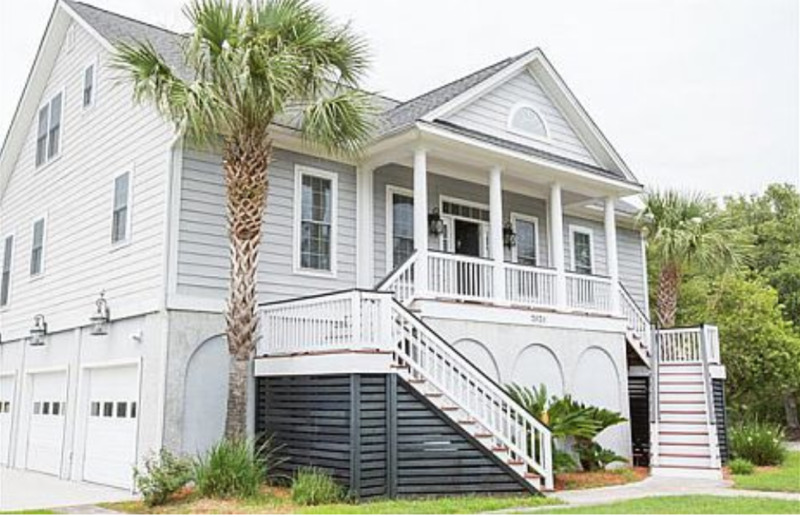 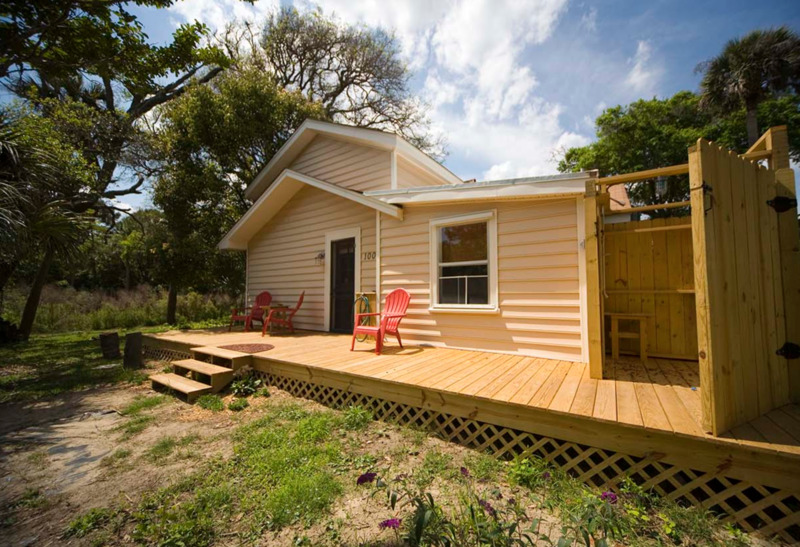 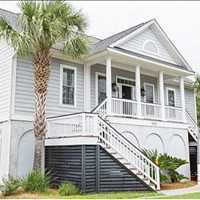 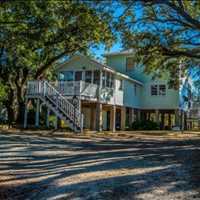 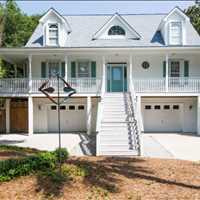 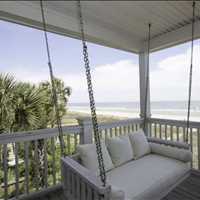 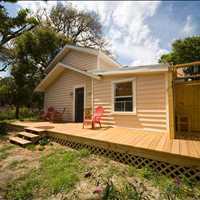 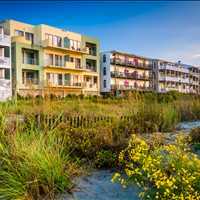 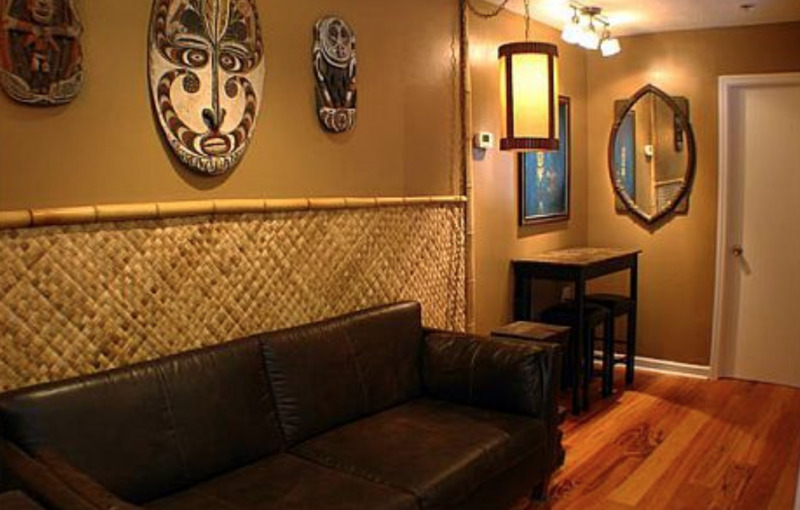 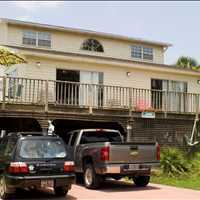 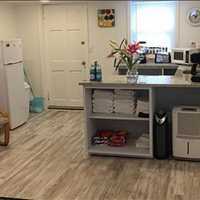 The Big Chill, located at 214 W Hudson Avenue Folly Beach South Carolina 29439, makes for the perfect vacation rental destination for Summer 2018. 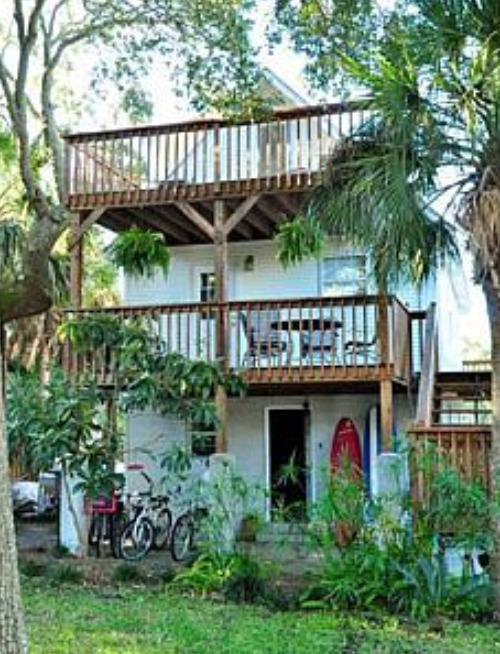 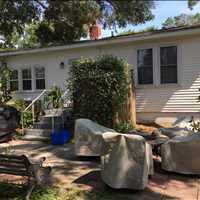 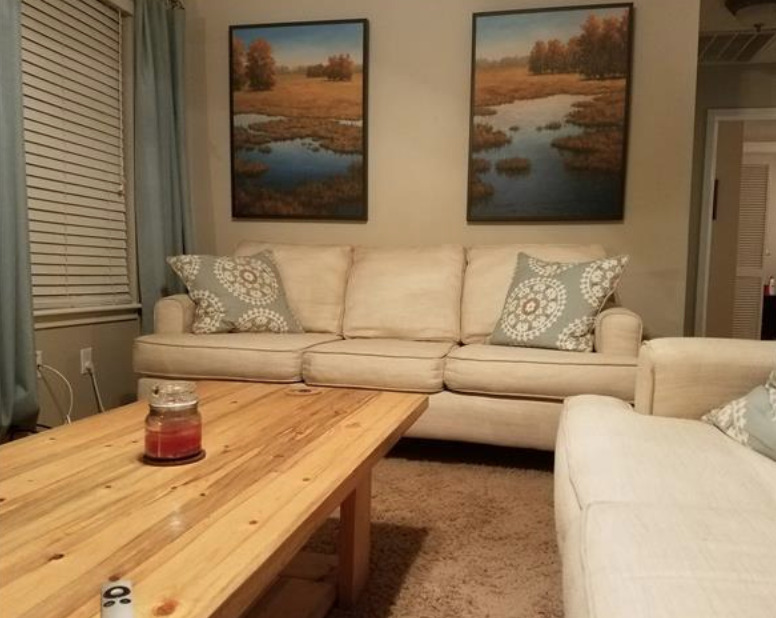 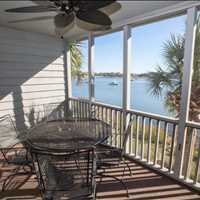 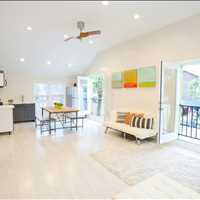 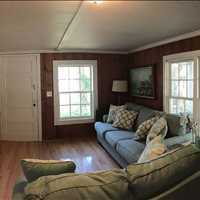 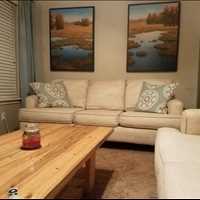 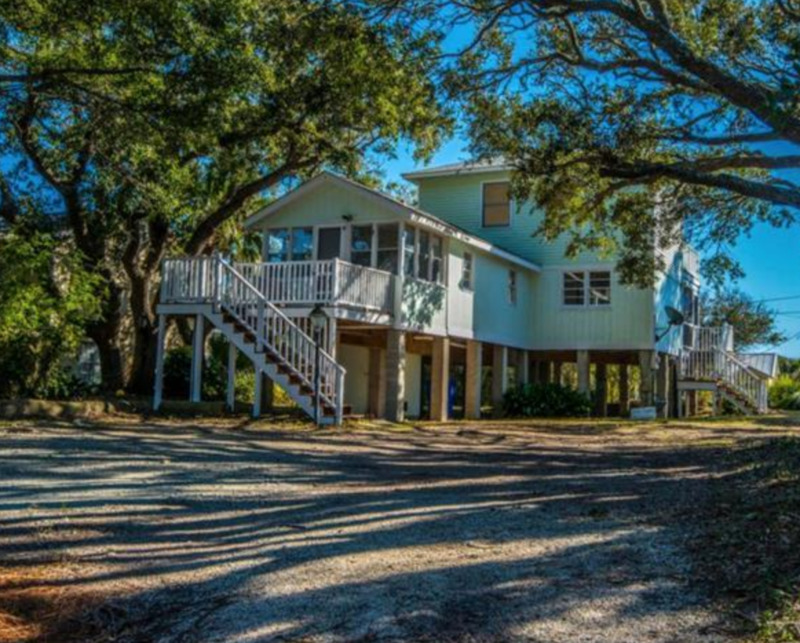 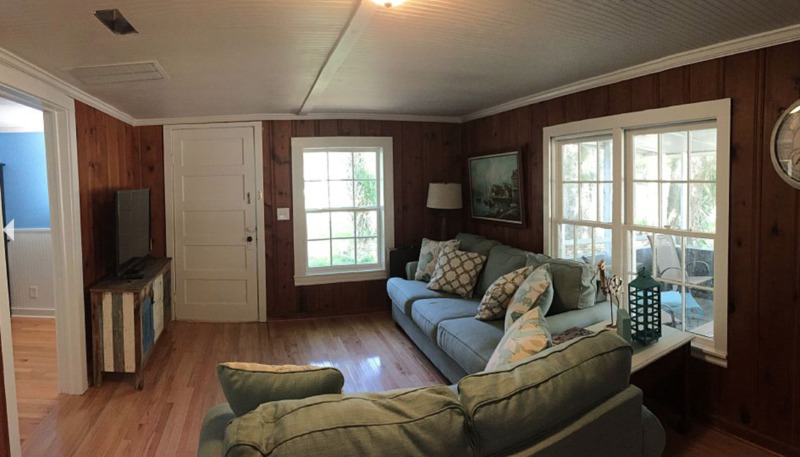 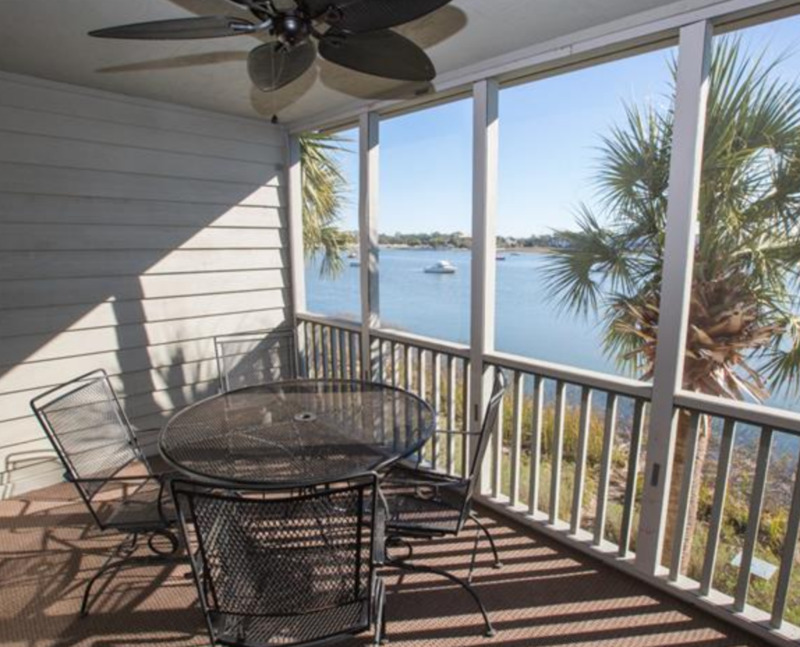 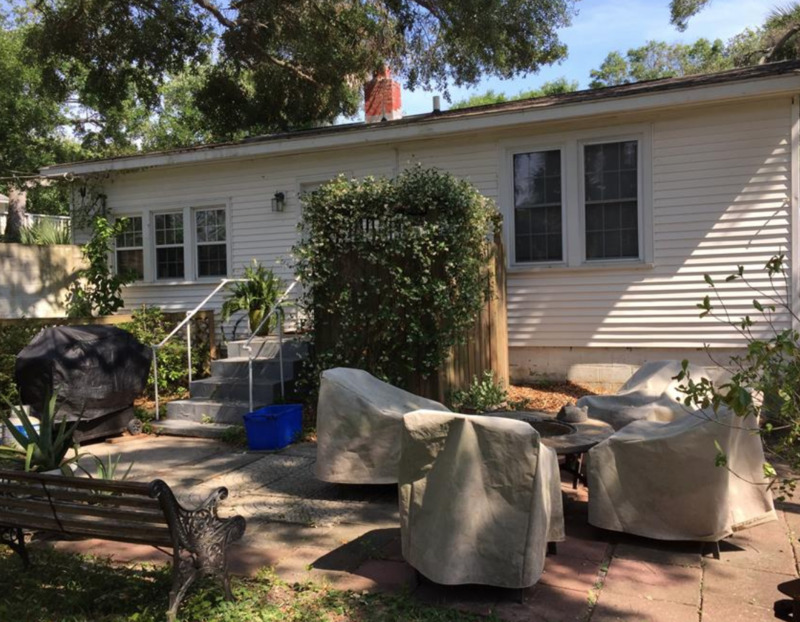 Located just 20 minutes from Historic Downtown Charleston, this summer weekly rental boats three large bedrooms, 3 full baths with one half bath, and has sleeping space for 10. 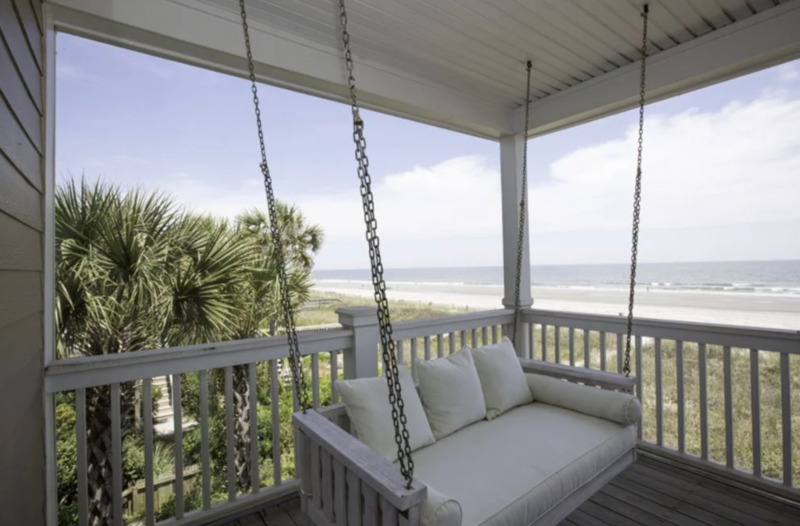 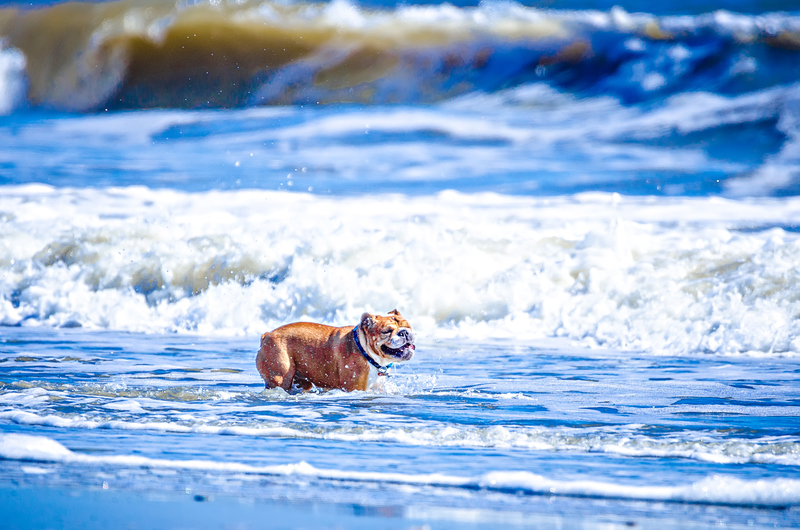 Pet friendly and event friendly, ‘The Big Chill’ is perfect for family reunions, extended vacations, and a relaxing get-away from the hustle and bustle of city life. 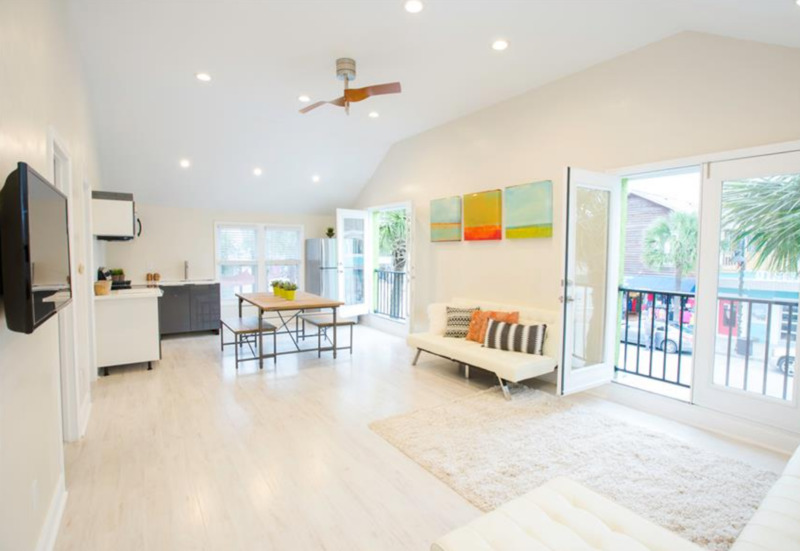 This modern construction home has a lovely master that has its own separate living space from the bed area with a huge attached master bath. 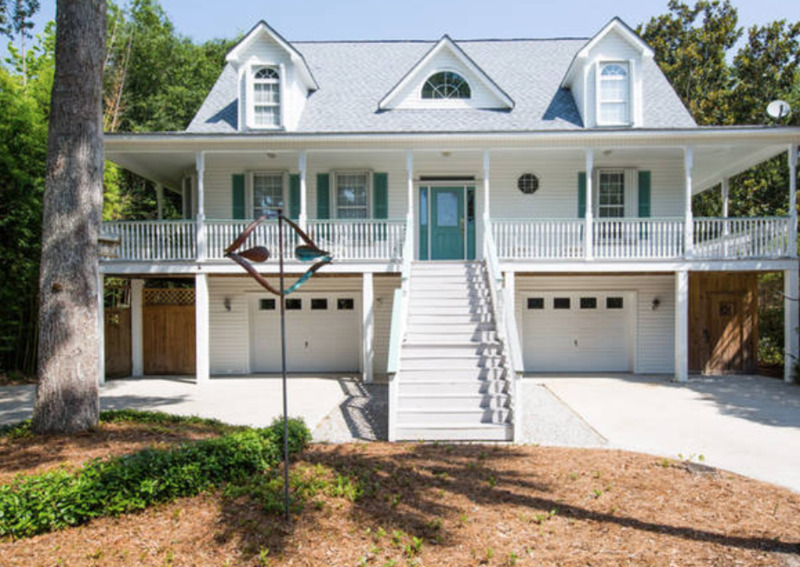 Guests will enjoy a large private backyard, outdoor bar, outdoor shower, plenty of deck space, a screen porch, and well appointed kitchen with an 8 person dining space. 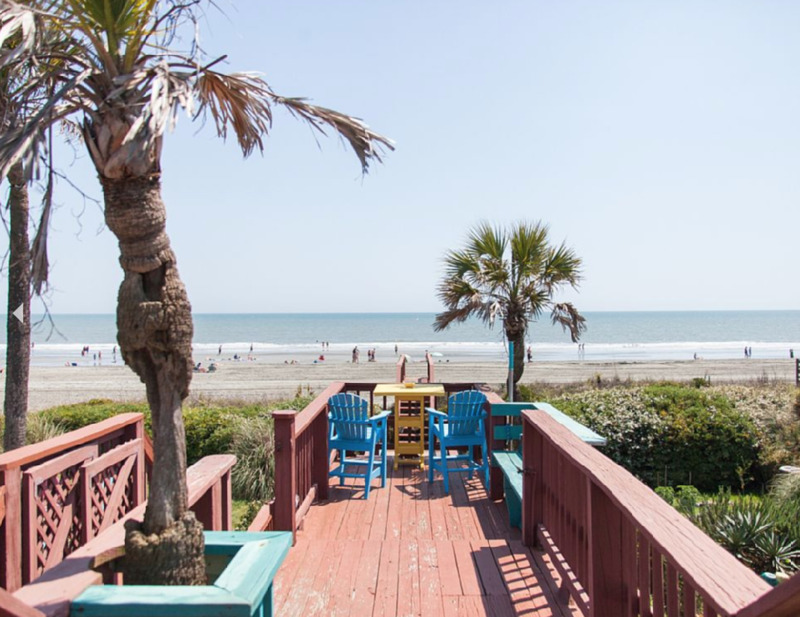 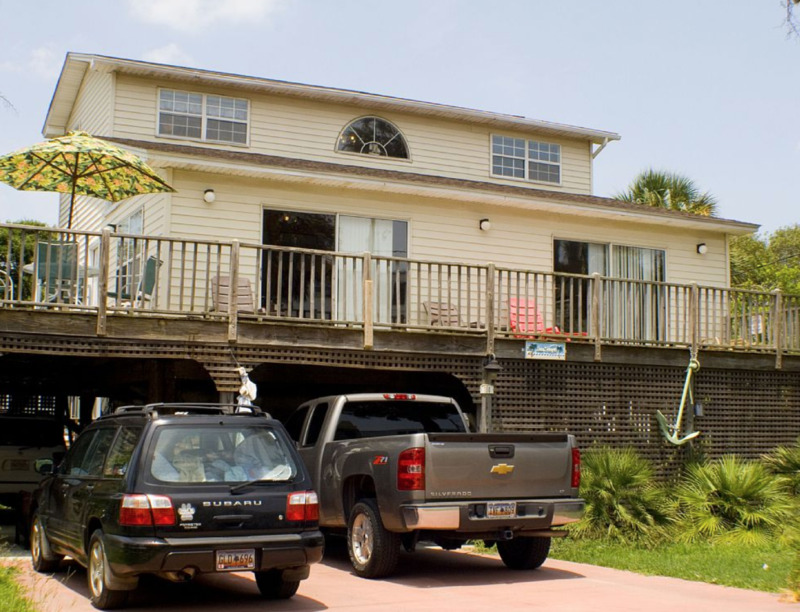 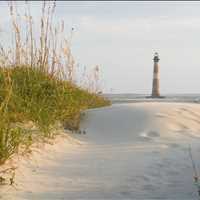 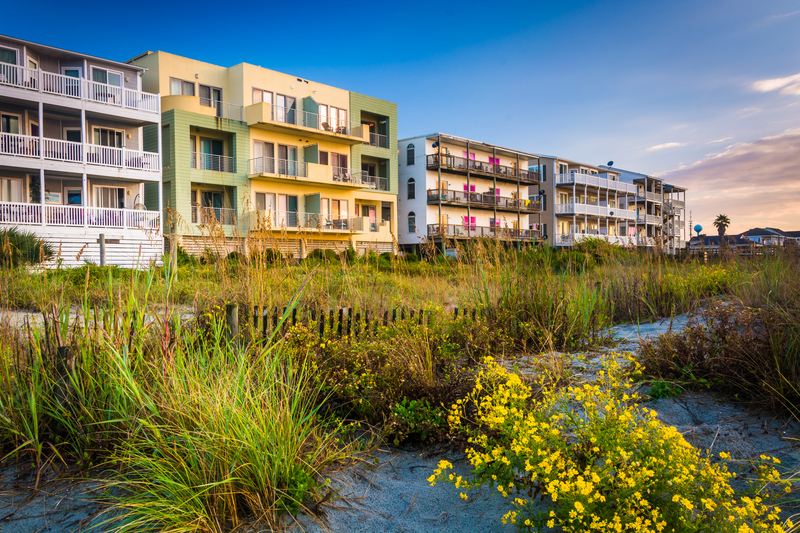 There is plenty of parking for you and your guests and is within walking distance to everything Folly Beach has to offer. 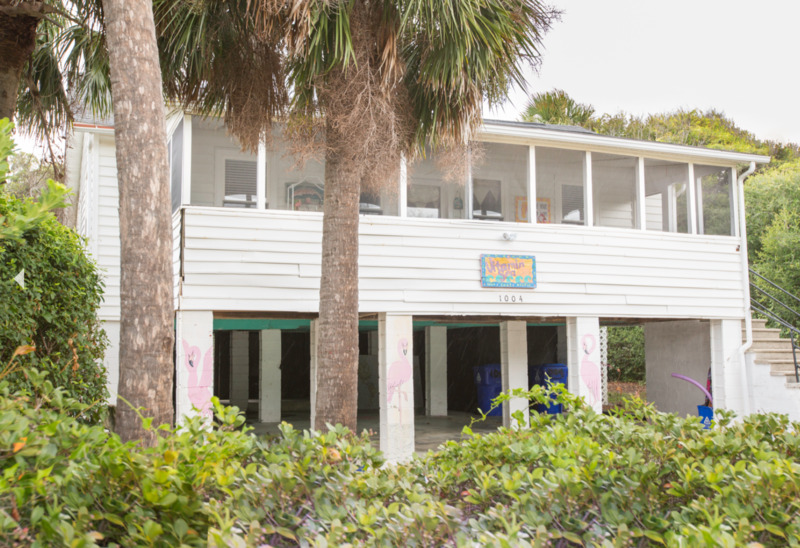 While property is not beach-front, but with close proximity to the beach and Center Street, you are right in the middle of everything. 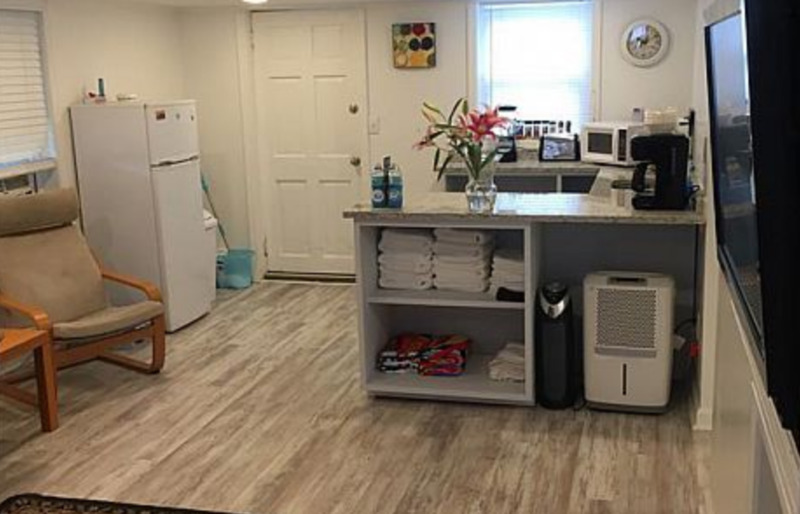 Amenties at ‘The Big Chill” include: wifi, heat and air, cable TV, linens, balcony, cable internet, pet friendly, kid friendly, washer and dryer, nightlife, patio, shopping, sleeper sofa, and towels! 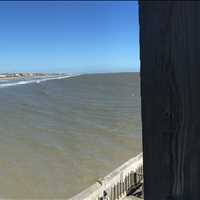 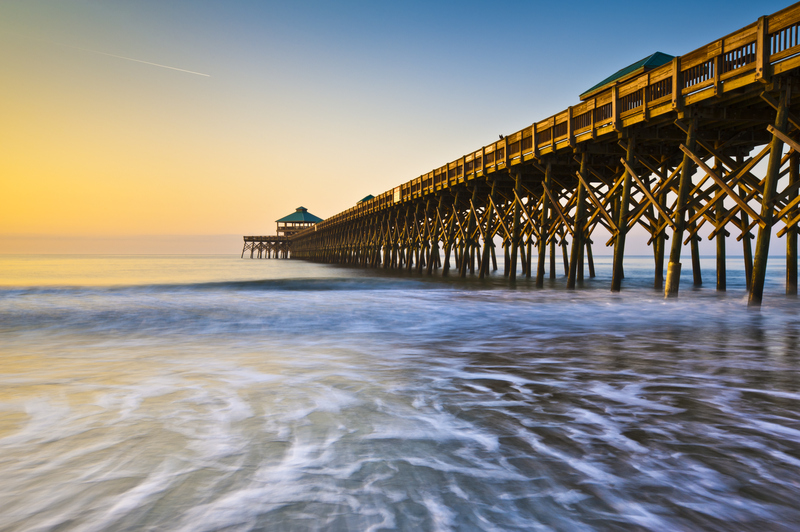 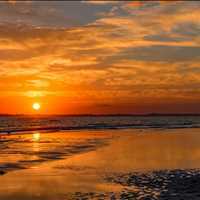 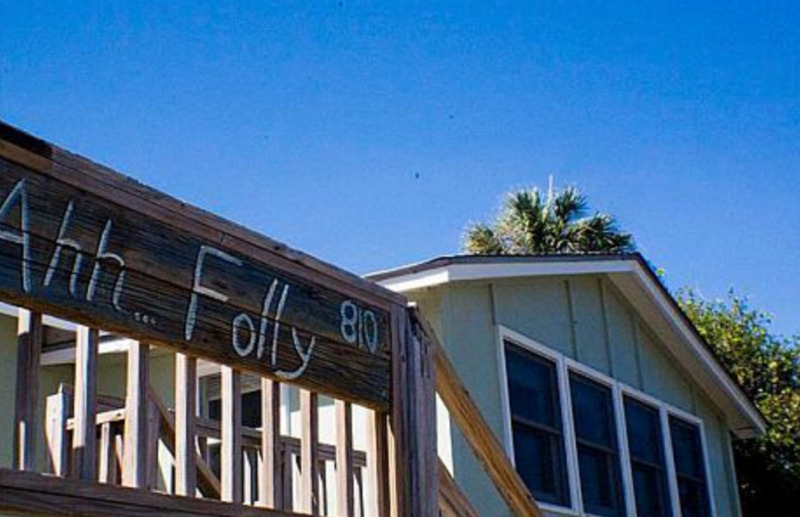 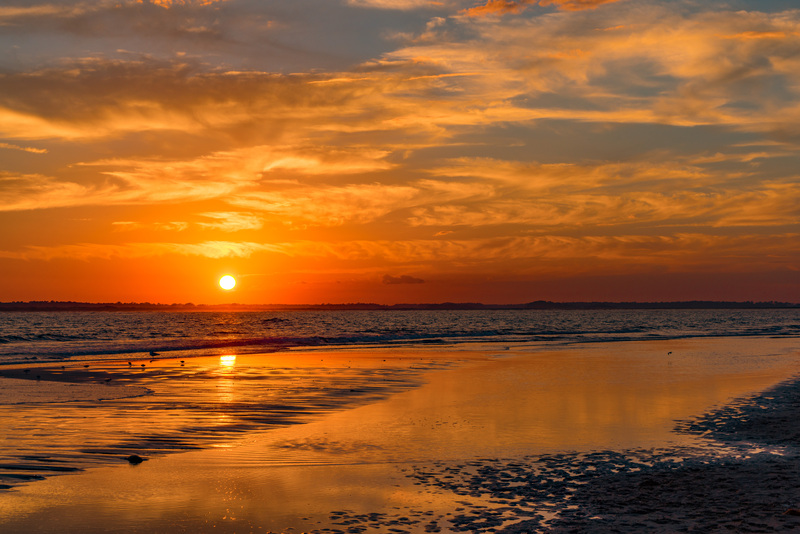 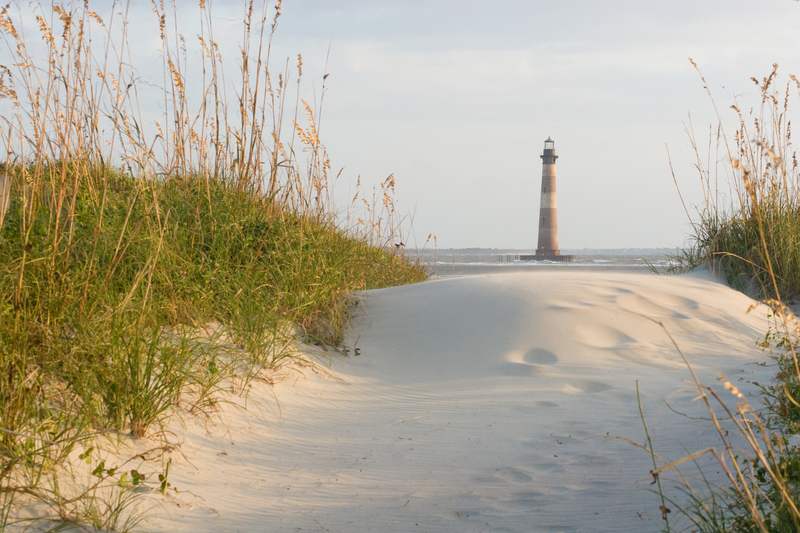 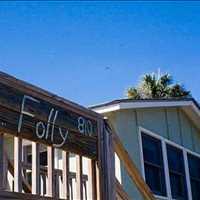 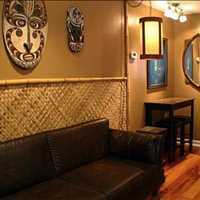 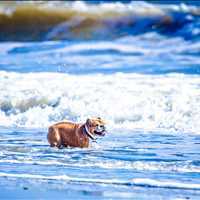 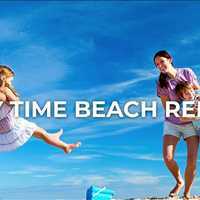 Come see what Folly Beach is all about by contacting Folly Time today at 843-580-3731 to reserve ‘The Big Chill’ located at 214 W Hudson Avenue Folly Beach South Carolina 29439.